The Plextor ConvertX is a USB2 device that captures broadcast TV and compresses the video in MPEG4. The video compression happens entirely in hardware on the Micronas GO7007 chip without taxing the CPU. The ConvertX supports different compressions: mjpeg, MPEG1, MPEG2 and MPEG4. Audio is uncompressed. Note that the ConvertX can only deliver compressed video and not uncompressed or raw video. The ConvertX is currently the only widely available TV tuner that offers MPEG4 compression. Most other devices do only MPEG2 or tax the main CPU with software compression. This site is about using this nice piece of hardware on Linux. The GPL driver for the Plextor ConvertX was available at http://oss.wischip.com/. As that site disappeared from the internet, use this (partial) mirror. Follow the instructions provided in the package for more details. 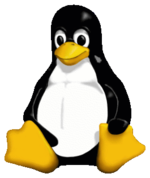 The gentoo wiki contains additional explanations on the ConvertX. It's also possible to use the ConvertX on OpenWRT devices. As the ConvertX works differently than usual TV capture cards, programs must be written specifically to support it. The GoRecord program records AVI files from the ConvertX with MPEG4 video and PCM audio. As the GoRecord program main purpose is to serve as an example, the program is small and it's features are limited. For example it does not handle audio-video synchronisation or audio compression. GoRecordMod is a version of GoRecord patched by L.B. It does basic audio-video synchronisation and outputs the video on the standard output. By using the standard output it's possible to watch the video with mplayer or xine while recording in a file. Timo Pylvänäinen wrote a patch against GoRecord official SDK version 0.9.4 that handles the audio-video synchronisation. The patch can be obtained at http://www.iki.fi/tpyl/linuxp.html. As GoRecord changed since 0.9.8, the patch of Timo didn't apply directly anymore. I (Francois Beerten) have ported the patch for 0.9.8. A second version contains some extra cosmetic changes. You cannot play video that's being recorded by GoRecord. With this patch by Francois Beerten, mplayer can read a video while it's being recorded. This patch also includes the audio-video synchronisation code. FFRecord is a small program that can record vidoes with the ConvertX in many commonly used video formats like AVI, ASF, MOV and so on. FFRecord also compresses the audio and can be used for simple live TV time-shifting. You can contact me at ffrecord <at> colabti <dot> org.